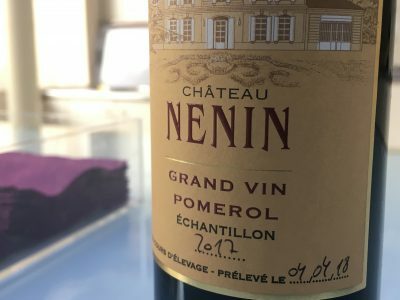 I missed out tasting many of the big guns in Pomerol in 2017. The sixteen that I did taste at the Grand Cercle and elsewhere felt fresh, elegant and mid-weight. Overall they were not as plump and enticing as the wines produced in the excellent 2015 and 2016 vintages in Pomerol. They were evidently handled well in the cellar nevertheless. Generally the wines seemed unforced and balanced. My picks? Château Beauregard, Château Feytit-Clinet, Château La Clémence, Château Mazeyres, Château Maillet, Château Le Moulin, Château Nénin, Château Vray Croix de Gay and Le Clos du Beau-Père particularly impressed among the relatively limited number I tasted. Evidently Merlot suffered from the frost in particular in Pomerol. The Cabernet Franc appears to have come to the rescue, resulting in the finesse and elegance found in many of the samples. I hope to taste more Pomerols on forthcoming trips to the region. My final day tasting primeurs 2017 took me again to the right bank. First it was to Fronsac and Château La Dauphine who held the Grand Cercle press tasting. 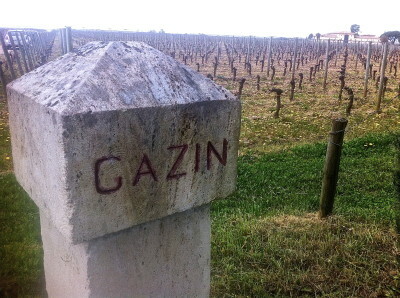 A comprehensive look at the Côtes de Bordeaux revealed a little irregularity but many successes. 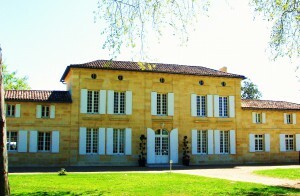 Château Veyry, Château Cap de Faugères and Clos Puy Arnaud were good in Castillon, Château Réaut and Château Reynon impressed in Cadillac, with a stylish Château Haut Bertinerie in Blaye. In Fronsac and Canon-Fronsac the wines felt more homogeneous. I will write in detail later, but Château La Vieille Cure, Château Gaby, Château Dalem, Château de la Rivière, Château de la Dauphine were excellent. In Pomerol and Lalande de Pomerol some wines lacked depth, but there was also plenty of bright perfumed fruit on offer with fresh acidities. Château Taillefer, Château Feytit-Clinet, Château La Clemence and Château Bourgneuf all looked good. In Lalande de Pomerol, Château Tournefeuille and Château Jean de Gué showed well. 2016 completes an exciting trilogy of vintages here in Pomerol. It is the quality of the Cabernet Franc that shines through in many of the wines, though excellent conditions during the flowering period also benefitted the predominant Merlot, insuring good fruit set and homogeneity. Clay soils also afforded protection against the summer drought. Overall Pomerol 2016s display wonderful fruit tones with succulent tannins and goodish acidity. A truncated trip here meant I had no chance to review the wines of JP Moueix or look at the UGCB wines in detail. The following notes on eighteen wines cover the line up shown principally at the Grand Cercle as well as Pomerols made by Jean-Luc Thunevin and those amongst the consultancy wines of Hubert de Boüard de Laforest. 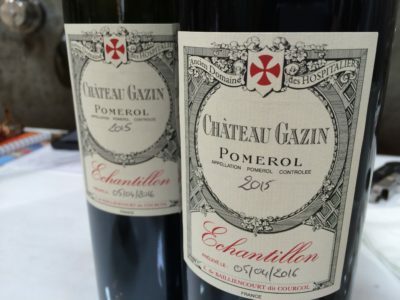 Pomerol has produced some delicious wines in 2015. Alongside St Emilion, the various Côtes de Bordeaux, Pessac-Léognan and Margaux, Pomerol has succeeded wonderfully in this vintage. At the Union des Grand Crus tastings held by Château Beauregard many impressed, especially, Château La Bon Pasteur, Château La Cabanne, Château Clinet [very seductive], Château Gazin, Château Petit-Village, Château La Pointe and Château Beauregard itself. At the Pomerol Seduction tasting at Clos du Clocher, Château La Conseillante looked a beauty, while Château Rouget and Clos du Clocher looked pretty good. At the Grand Cercle tasting Château Feytit-Clinet was delicious and Château La Commanderie and Château Vieux Maillet impressed. Tasted separately Le Clos de Beau Père is also impressive. Whilst the incredible Indian summer undoubtedly turned around the fortunes of the 2014 vintage, the growing season in Pomerol was not without its challenges. Stormy showers punctuated much of June, July and August and, in terms of overall rainfall throughout the year, it was one of the wettest since in a decade. Despite the rain, the sunny and generally dry conditions that characterised September and October, were sufficient to successfully ripen the Merlot and were particularly beneficial to Cabernet Franc, which looks to have succeeded very well 2014. As always success depended on terroir and diligence. There is great vibrancy in the best wines, which show genuine style and verve, but in a few cases there also appears some dilution. 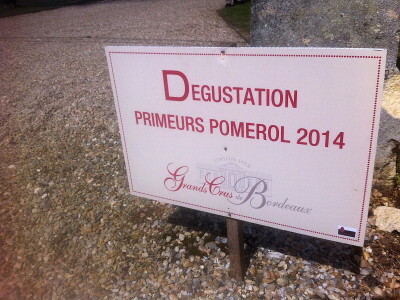 Overall in 2013 Pomerol has not made wines as good as in 2011 and 2012. Perhaps the quality lies somewhere between 2007 and 2008, though the acidity seems more marked than in both those years. There are successes but also disappointments. At the Cercle Rive Droite tasting, Pomerol was outplayed by the St Emilion Grand Crus Classé shown. 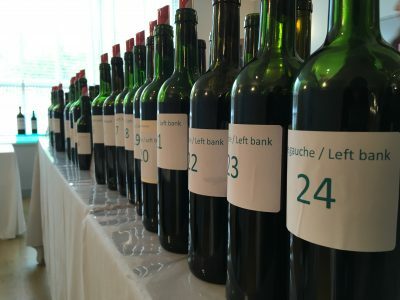 At the Union des Grand Crus de Bordeaux tasting the standard felt better, but if the wines were more consistent, they felt a little compact, sometimes lacking expression, strange in an appellation not usually shy in coming forward. Not even Pomerol’s natural exuberance can quite defy the gravity of the 2013 vintage it seems.